Bryan Cranston, Aaron Taylor-Johnson, Elizabeth Olsen, Ken Watanabe, Juliette Binoche and David Strathairn lead the international cast in this rompin’, stompin’ remake of the Japanese sci-fi classic, about everyone’s favorite radioactive dino’ from the depths of the Pacific, which comes with fully updated special effects—and a whopping message about scientific arrogance and ecological balance that’s almost as loud as Godzilla’s hair-raising, master-blaster roar. 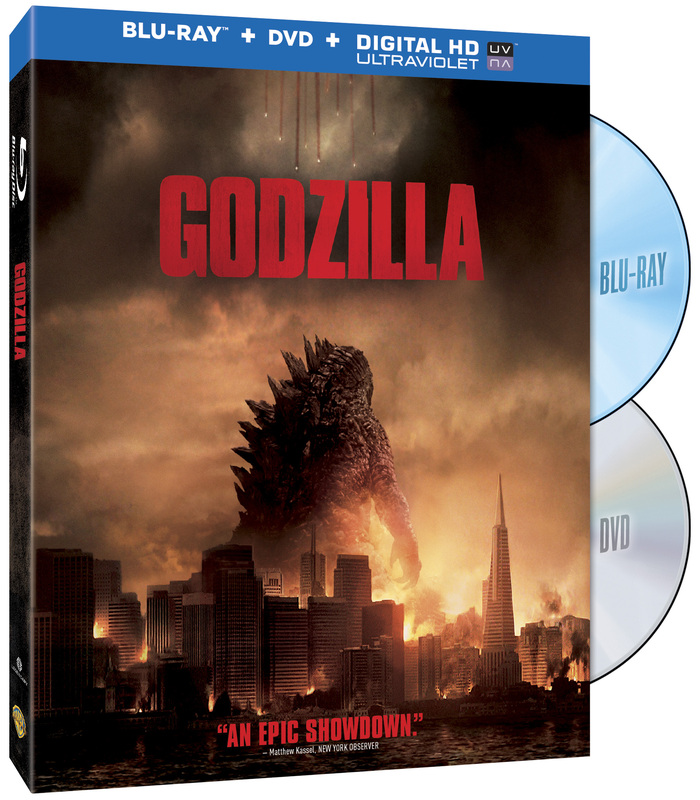 Bonus content features several behind-the-scenes mini-docs on the actors, production and story, including “explosive new evidence” in the plot’s elaborate cover-up to keep Godzilla’s existence a secret. “Behind you! Behind you!! !” the lady seated beside me urgently whispered to the screen, to Liam Neeson’s character, as unseen danger crept toward him from the shadows. 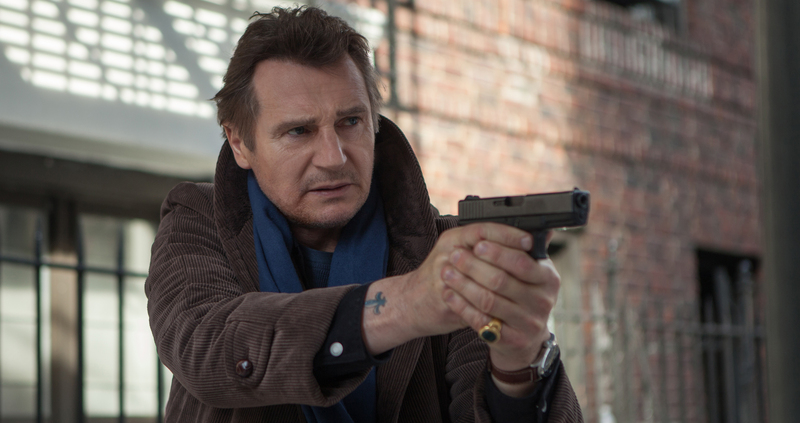 At this stage of his career, Neeson is fairly accustomed to threats in the shadows—and often it’s him. At 62, he has emerged as one of Hollywood’s leading “older” action stars, playing weathered, well-worn men well-versed in covert ops, and more extreme activities when needed, in the successful three-movie Taken franchise and the recent high-in-the-sky airplane drama Non-Stop. 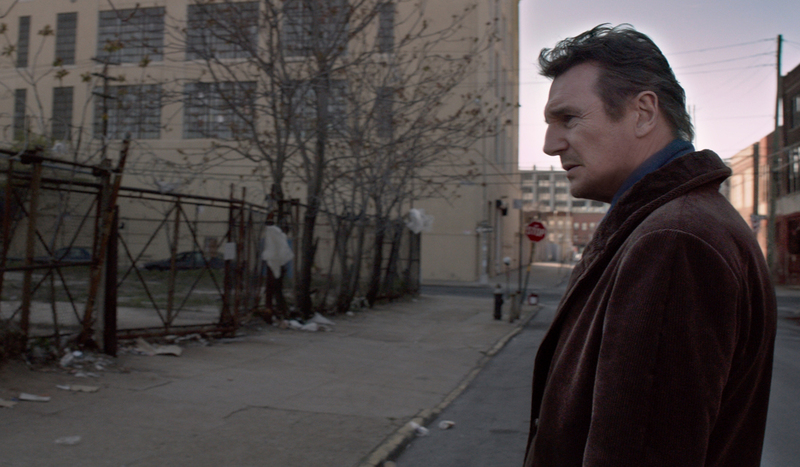 In the new thriller-chiller A Walk Among the Tombstones, based on a novel by popular crime-mystery writer Lawrence Block, he’s Matt Scudder, a rumpled, crumpled New York City ex-cop loner on the trail of two pervs plucking women off the streets and subjecting them to unspeakable horrors. The title helps set the creepy stage right off the bat, and the opening credits—which play over a “dreamy” scene that you slowly realize is actually a nightmare—hit you like a punch to the gut. The grim atmosphere is orchestrated by cinematographer Mihai Malaimare Jr., who shoots the grungy New York locations in muted, washed-out tones and smoky pastels that match Scudder’s bleak, bleached emotions, drained of color and joy after all that he’s seen…and done. 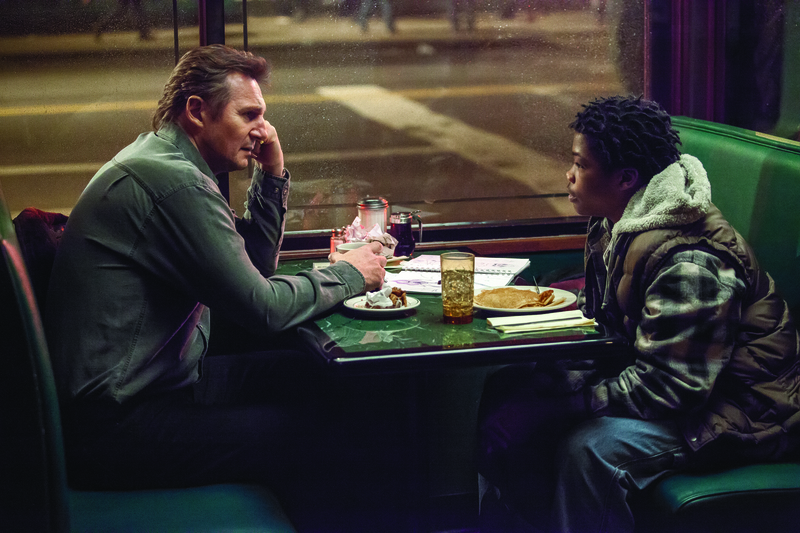 The story is set in 1999, which also plays into the look of the movie—it was a time before much of the Big Apple’s modern urban-renewal polishing, and it burrows into the city’s shabbier side streets and seedier locations to give real-life dimensions to its down-and-out drama. Scudder’s a recovering alcoholic, which also contributes to the theme of brokenness—and also the hopeful idea of working toward reparation. Brian “Astro” Bradley plays a homeless teen—and aspiring detective—who becomes Scudder’s tag-along sidekick. Dan Stevens (Matthew Crawley on Downton Abbey) is a prosperous heroin traffiker whose wife’s kidnapping draws Scudder down an ever-darkening trail that ultimately leads him to the tombstones of the title. This is a movie about violent, twisted people, although much of the violence is left to the imagination rather than depicted. Most of the story is about the process, the escalating cat-and-mouse game, the “procedural” that will be familiar to anyone who watches TV shows like CSI, Law and Order or Criminal Minds. But that doesn’t make it any less unsettling, especially when one of the victims is a 13-year-old girl, or when the camera lingers on a kidnapper fondling the bloodied tools of his torture trade, or asking one of his terrified, bound captives a question that should make the skin crawl on any woman, of any age. “People are afraid of all the wrong things,” says the movie’s tagline. The wrong things, it suggests, are “scary” but benign places, like cemeteries, or the fear of death. The true terrors, and the real monsters, it so chillingly reminds us, can be ordinary-looking people in a cargo van cruising up and down the street, in a house next door—or sneaking up from the shadows right now, behind you, behind you! Animation connoisseurs and anyone who fondly remember yesteryear’s yuks will appreciate this latest roundup of classic ’toons, all brushed up for the first time up for Blu-ray. 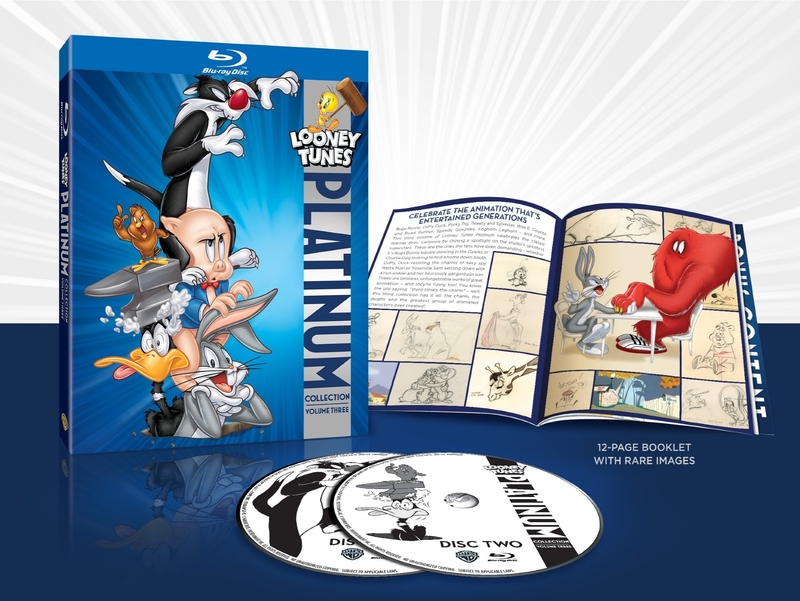 In addition to 50 mini-masterpieces featuring Bugs Bunny, Daffy Duck, Porky Pig, Tweety & Sylvester, Wile E. Coyote, Foghorn Leghorn, Elmer Fudd, Yosemite Sam and many more supporting players, the 11-hour, double-disc set also includes a bevy of bonus content, including a booklet and 14 mini-documentaries—I particularly enjoyed “Mel Blanc: The Man of a Thousand Voices,” and “Drawn For Glory,” a look at how the humble pre-movie “theatrical shorts” went on to become pieces of craftwork worthy of Academy Awards. 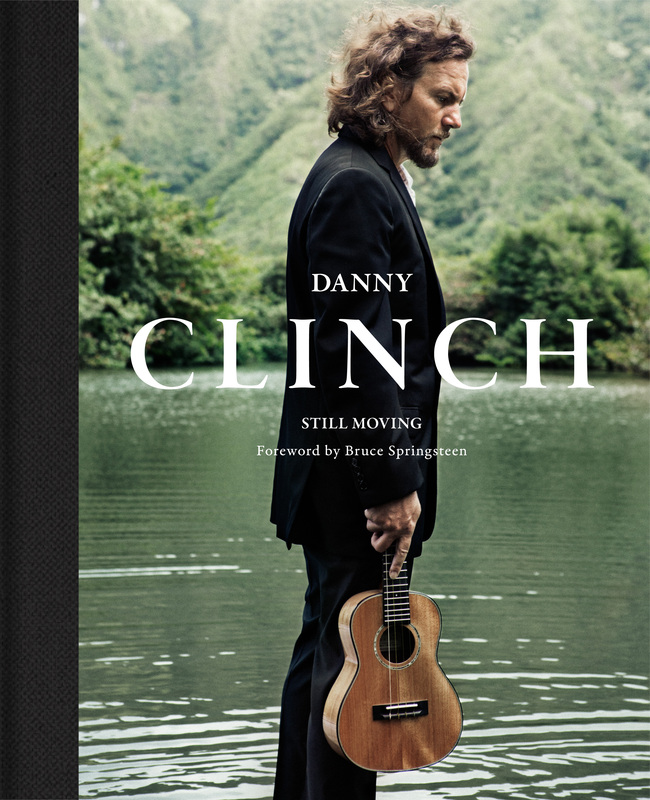 Clinch, a preeminent music photographer and Grammy Award-nominated documentary film director, has used his camera to chronicle a spectrum of popular performers in both explosive performances and during reflective private moments for Rolling Stone, SPIN, Vanity Fair, Esquire, GQ and other publications. This handsome collection of his work—with a title taken from a Willie Nelson song and featuring powerful portraits as well as more photojournalistic, fly-on-the-wall shots of a Who’s Who of boundary-crossing rock, country, blues, hip-hop and soul performers—is a visual feast for music lovers of all kinds. 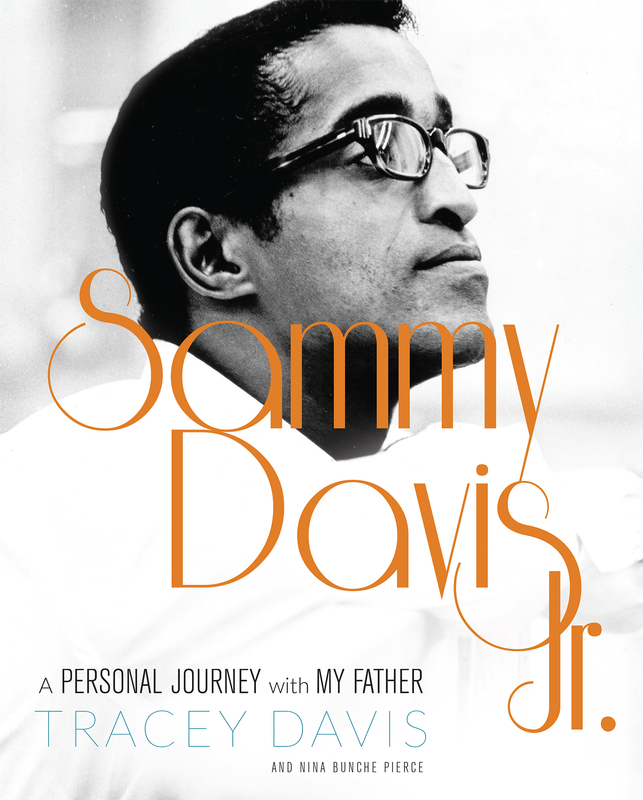 Fans of the Rat Pack will enjoy this poignant, personal memoir, accompanied by a wealth of rare photos, from Davis’ only daughter with Swedish actress May Britt, who traces her father’s remarkable life and career at home and in Hollywood across six decades, in more than 20 movies, on more than 40 record albums, in seven Broadway shows—and in millions of American living rooms as a black entertainer on TV who broke the “color barrier” for many others who would follow. It’s often hard to define “cool,” but Sammy Davis Jr., baby, he had it, in every way, from every angle. He was it. 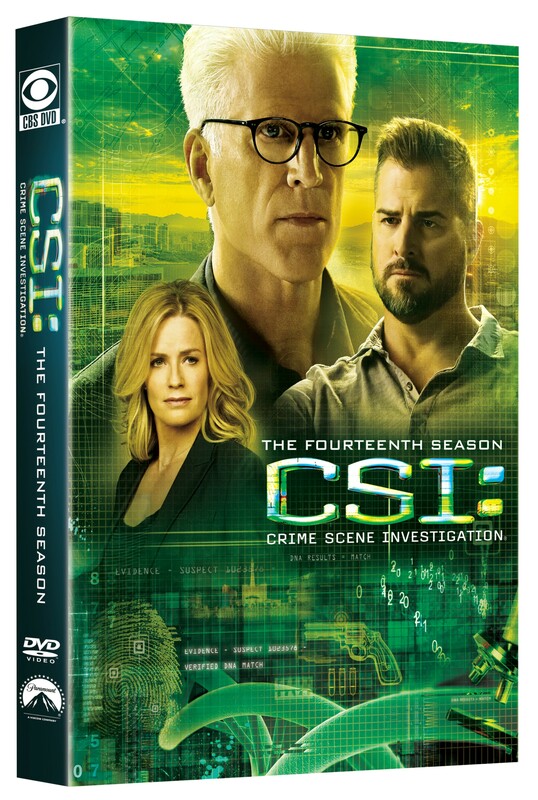 The 2013-2014 season of the long-running CBS crime procedural series featured stars Ted Danson and Elisabeth Shue tracking down all kinds of trouble, celebrating their 300th episode with a “flashback” to the beginning, reuniting with a former team member (Marg Helgenberger), saying farewell to another (Paul Guilfoyle), and spinning off a special agent (Patricia Arquette) for her own new upcoming series, CBS: Cyber. Bonus content on this six-disc packaging of all 22 episodes includes cast interviews, commentaries, and spotlights on some of the season’s guest stars (Gene Simmons, Lea Thompson, Jordin Sparks, Robert Davi and Treat Williams). 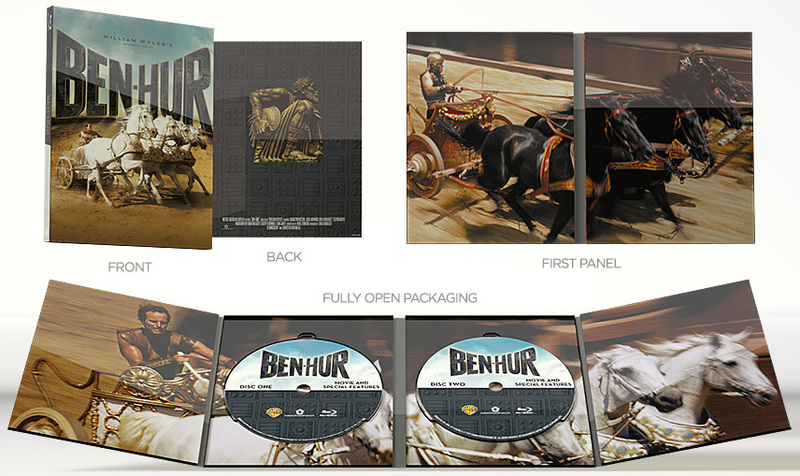 Director William Wyler’s 1959 towering epic, which swept up a record-setting 11 Oscars, starred Charlton Heston in the iconic title role as a Jewish nobleman whose dramatic odyssey included Roman captivity, banishment as a galley slave, an epic chariot race and encounters with Jesus Christ. In commemoration of its 55th anniversary, this deluxe re-release of includes a wealth of bonus content, including commentary by Heston and a film historian; a feature-length retrospective documentary; the 1925 silent version of the tale; screen tests; vintage documentaries; and more. Critics and audiences alike cheered for the first Dolphin Tale, the story of a bottlenose dolphin rescued off the coast of Florida and custom-fitted with a prosthetic tail after tangling and mangling hers in the wires of a crab trap. 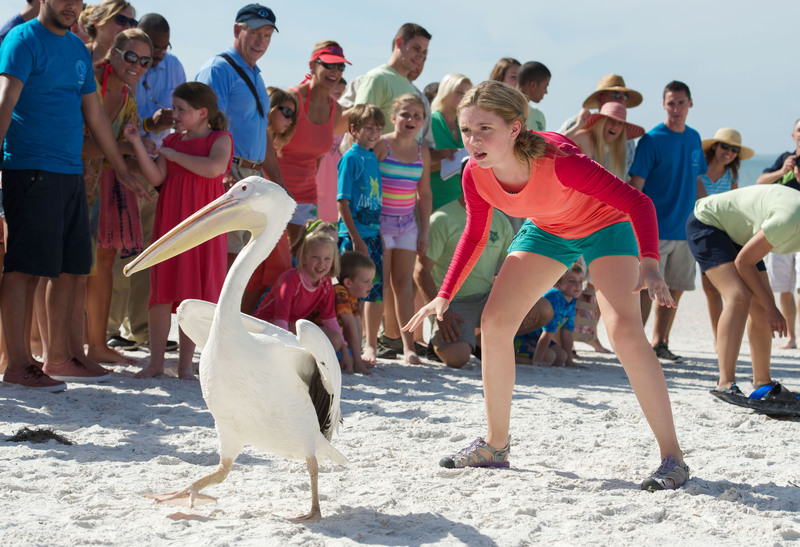 The 2011 movie was based on true events, real people, and the actual place, the Clearwater Marine Aquarium, where the repaired and rehabilitated sea mammal, renamed Winter, became a star attraction. 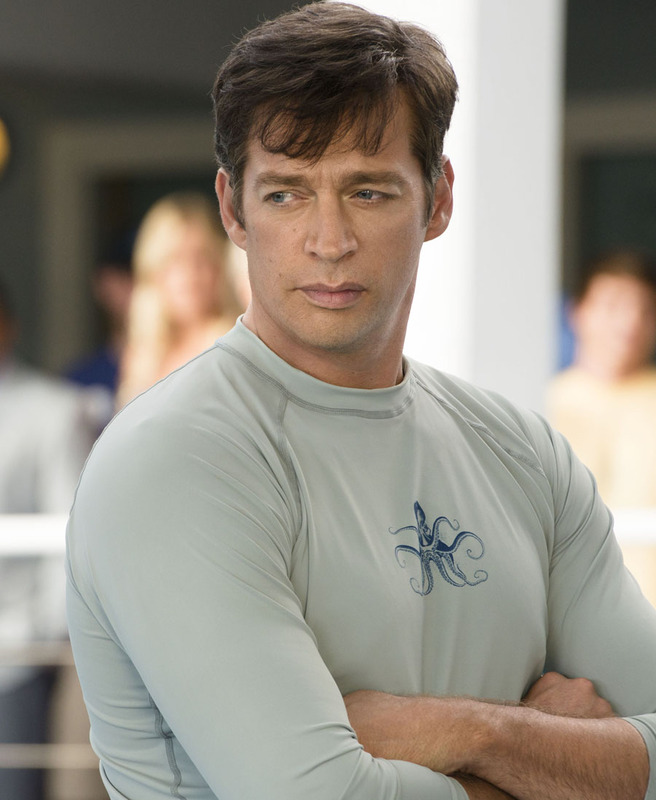 Dolphin Tale 2 continues Winter’s remarkable (true) story and reunites most of the original cast, including Harry Connick Jr., Ashley Judd, Morgan Freeman and Kris Kristofferson, along with teen actors Cozi Zuehlsdorff and Nathan Gamble, and the real-life Winter. Actor-director Charles Martin Smith (watch for him as the aquarium inspector) also returns as writer-director, and surfer-celebrity Bethany Hamilton, whose left arm was infamously bitten off by a shark, makes a cameo. Once again filming on location at the Clearwater facility, this Dolphin tale involves a new predicament for Winter—and the interplay of emotions between humans as well as other creatures, including affection, bonding, celebration, loneliness, loss, anxiety, and the bittersweet pangs of goodbye. 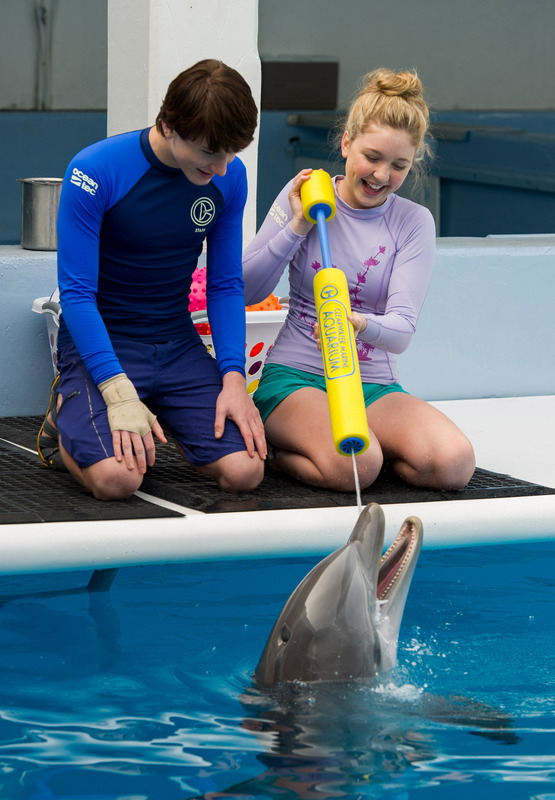 “We don’t know if dolphins feel emotions the way we do,” notes Sawyer (Nathan Gamble), Winter’s young trainer. No, we don’t—but the movie clearly wants us to think that they might…and believe that they can. And you will believe, as well as learn a thing or two about dolphins—like how regulations prohibit keeping a dolphin in captivity alone, without a companion, and how even the most “trained” dolphin is still a wild animal that can seriously injure a human. You’ll also understand how Winter became such an inspiration for so many real-life visitors, from kids to war veterans, who had lost a limb, or more—as one scene (and even more so, the documentary footage that runs at the end of the movie) so movingly depicts. 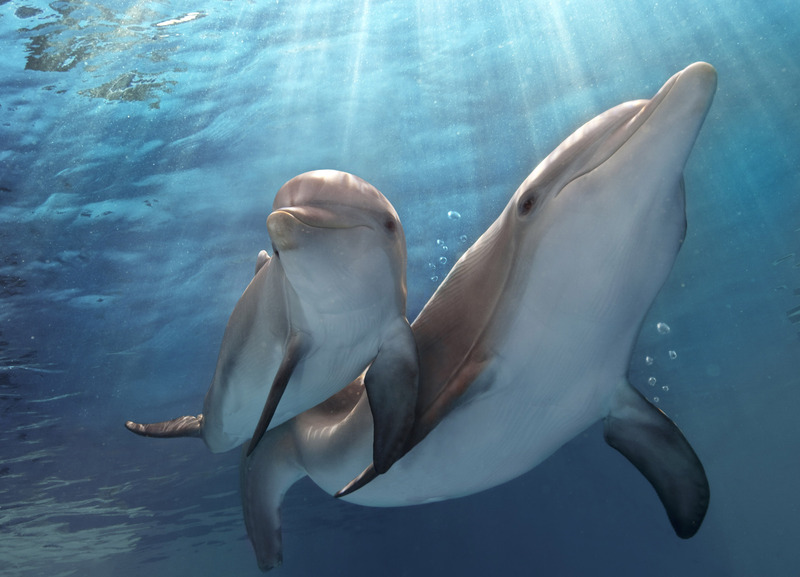 Like its predecessor, Dolphin Tale 2 is another wholesome, family-friendly movie especially good for younger kids and tweens, and it avoids playing down to its audience, or dipping into the crude humor that often creeps into fare for even the youngest viewers (although there is a blowhole emission, which sounds like a fart, that is clearly meant to get a laugh). There are thoughtful, smart plotlines about growing up, taking responsibility, making tough decisions, sorting out the blurry lines between jealousy and affection, learning lessons in unlikely places—and the drama of waiting to see what happens to Winter when her options appear to have run out. There’s no explosive razzle-dazzle, and no splashy special effects—but lots of real splashes, some dandy, ballet-like, below-water swimming sequences, and plenty of emotion centered around one fin-tastic dolphin, Winter, whose true tale continues to uplift and inspire. Strike up the band! 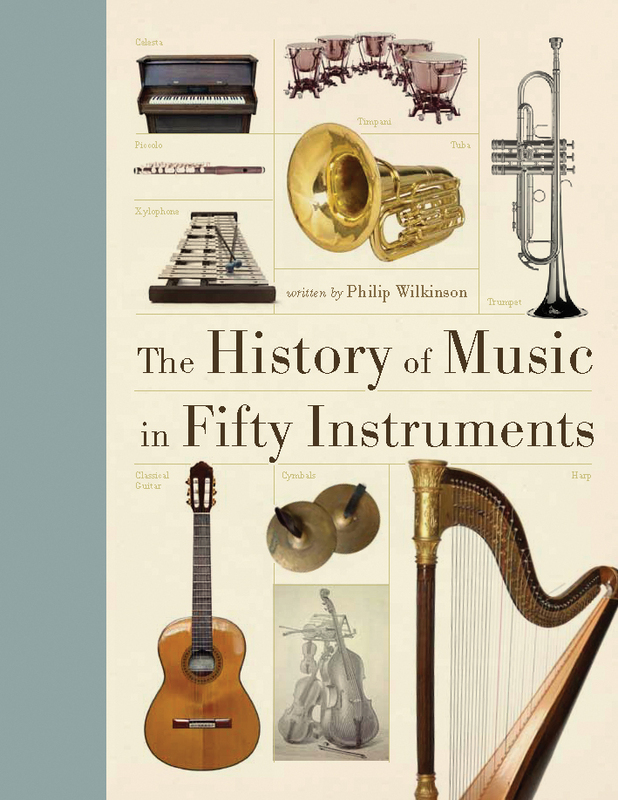 This informative, generously illustrated guided tour of musical history looks at 50 orchestra instruments and how they each contributed to the march of musical time—the spread of the lute from the Middle East throughout Europe during the Renaissance; the importance of the organ in cathedrals and churches; the versatility of the “exotic,” jingly-jangly tambourine; the role in the drum and the piccolo in the military; saxophones as the backbone of jazz. It’s a treasury of facts about composers, musicians and compositions and—of course—the instruments that made it all possible. Had your fix today—your caffeine fix? The most popular drug in America is the completely unregulated one that we get in our coffee, teas, colas, chocolate and even some pain relievers. 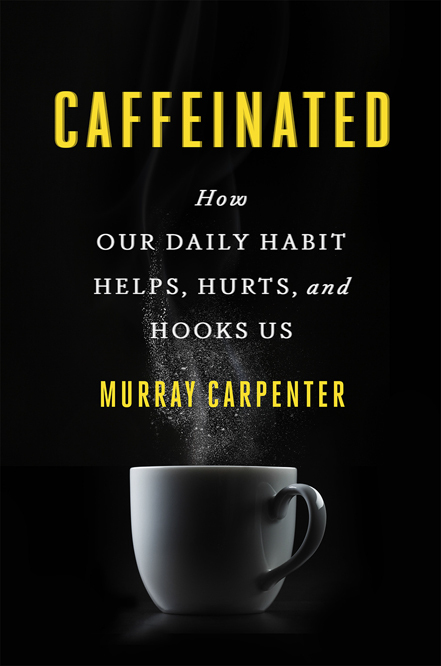 This well-researched, wide-ranging look at “how our daily habit helps, hooks and hurts us”—by a writer for NPR, The New York Times and Wired—is compelling, comprehensive, insightful and more than a little bit scary. Read it and you’ll probably never sip that morning cup of java so nonchalantly again.